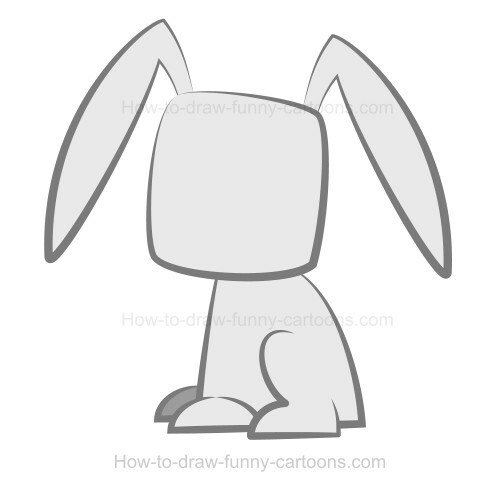 Take your time because drawing a rabbit is now something that can be done within minutes using this fun cartoon lesson! I will show you how to draw a simple version of this cute animal in just six easy steps using shapes and lines that anyone can duplicate. 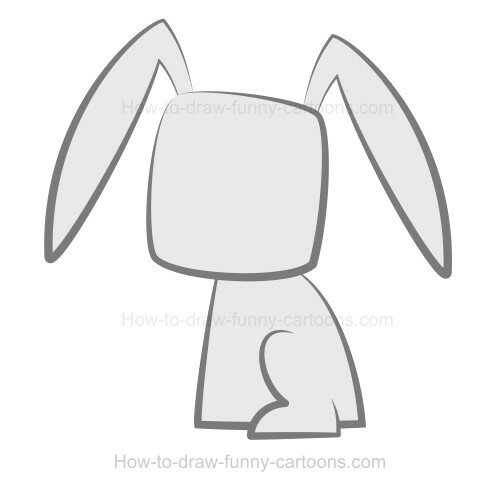 Before proceeding with the written version of this drawing lesson, you can start by trying the video found below. This nice introduction should help you figure out what this cartoon character is all about. Cool! 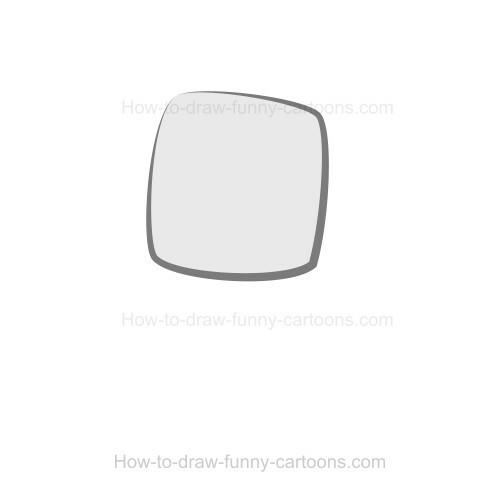 First, we need to create the head using a small square. Notice how all corners are round. The width of the outline is narrower on top and larger on the bottom. I will keep this simple recipe for all lines added on this cartoon character. Step 2 is the most challenging one. To illustrate the body, you must sketch a rectangle with a curved line on the right of the shape. The back leg can be represented by a simple curved line. Nice! 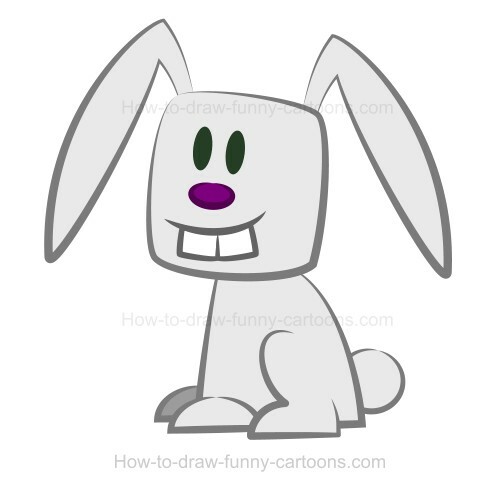 To make sure that this cartoon animal looks like a rabbit, we need to add large ears. Without them, this animal could be a dog or even a cat. Study this shape carefully and try to duplicate it as similar as possible. Eyes can be illustrated using two small (black) oval shapes. The nose is also drawn from an oval shape (but this one is colored in purple). Finally, the teeth are represented by two small squares and the mouth is made of a long curved line. 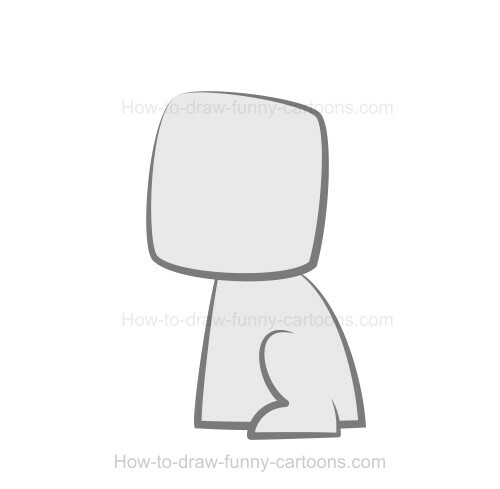 The last thing that you can draw on this adorable cartoon character is the tail. You can create it from a small circular shape. Nice work! 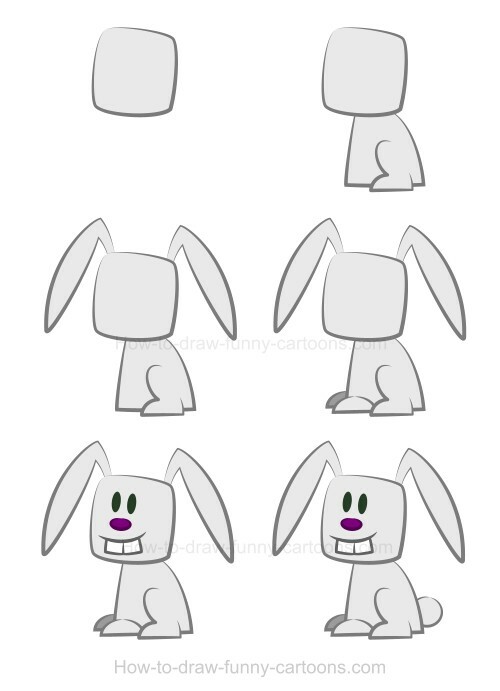 Above are all six steps that can be used to illustrate this rabbit. I hope you had fun creating this character and don't forget that more animals are available in the same series.